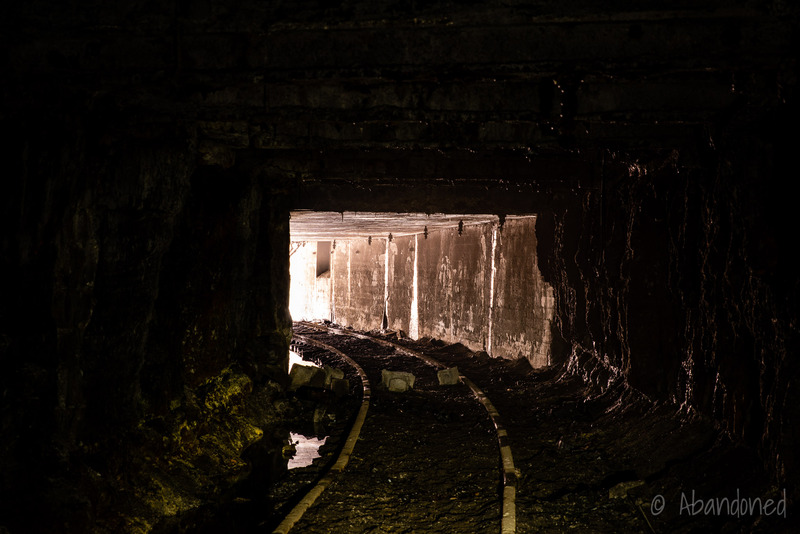 Mathies Mine is an abandoned underground coal mine in Pennsylvania. 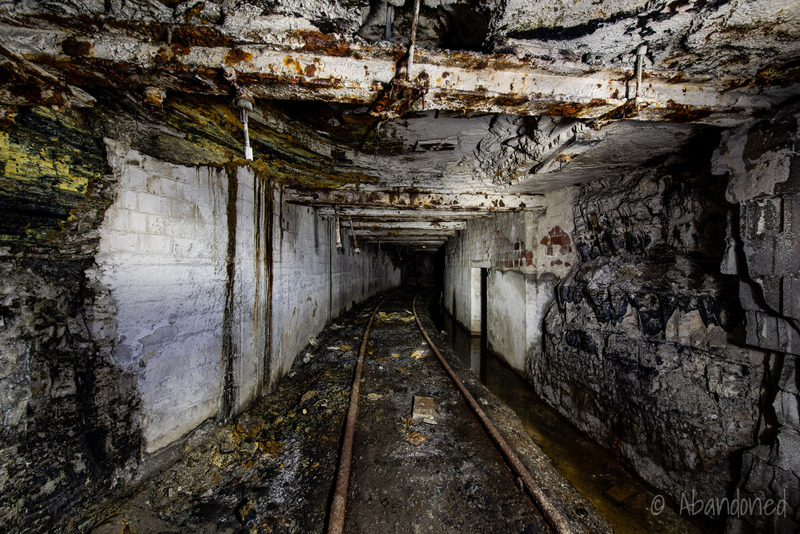 The Mathies Mine was essentially complete on November 11, 1944. 10 Limited production, at 200 to 250 tons daily, began on June 1, 1945, with the coal being sent to the Allenport and the Monessen plans of the Pittsburgh Steel Company. 14 Full production did not begin until September. The mine, at full operation, employed nearly 1,000. 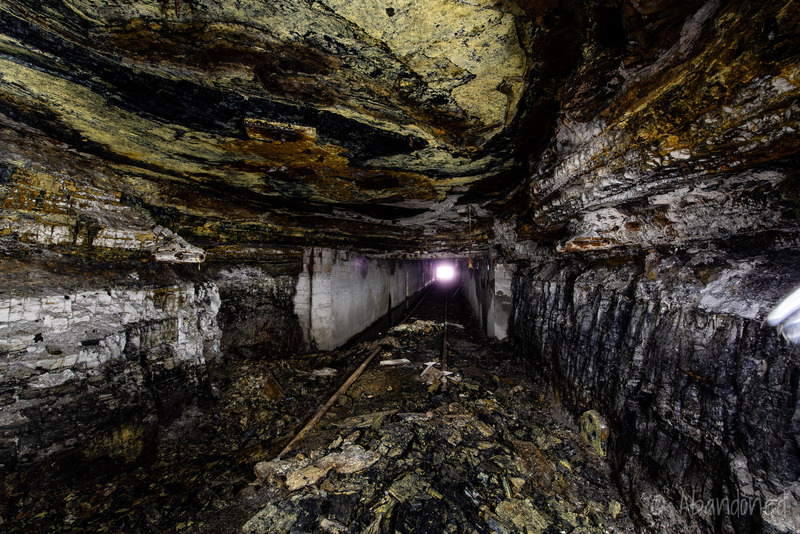 10 It grew in size to 47 square miles, 6 and produced 1.6 million tons of low sulfur coal annually, 7 with a reserve of more than 44 million tons of coal. 9 Approximately 10% of the output was used by National Steel with the remainder sold to utility and industrial customers. In the early 1950’s, a $1.5 million fine coal processing line was added to the cleaning plant. 10 A machine shop was constructed from 1956 to 1959 within the mine. 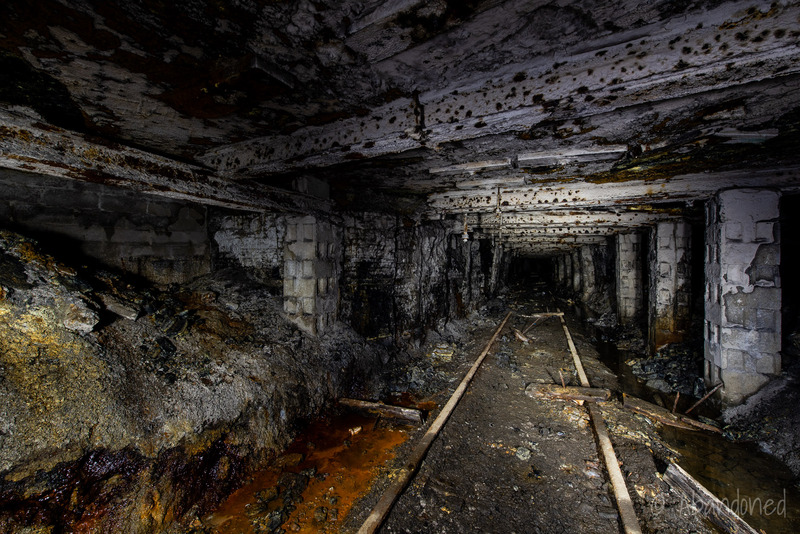 At the time, it was regarded as the world’s largest underground facility of its type. It included room to overhaul loading machines, repair electric motors, and a room to paint and bake panel boards. A $600,000 wet crushing and screening plant was built in late 1959. National Steel announced on October 31, 1991, that it was not able to secure more than $16 million needed to restore the Mathies Mine after the fire, despite $2.1 million in loans pledged by the state and with federal assistance in pursuing loan guarantees. 7 The company wasn’t able to provide financial backing because of its own losses totalling $104.6 million for the first three quarters of the year. As a result, the mine’s assets would be sold and 400 jobs would be terminated. In June 1993, U.S. Steel Mining Company, a subsidiary of the United States Steel Company, leased a 1,800-acre tract of coal that encompassed a part of the Mathies Mine reserves. 16 It included about 10 million tons of coal, reachable through the company’s Maple Creek operation. In July 2000, John W. Hatch acquired Mon-View Mining for more than $6 million and reopened Mathies Mine. 2 The company then abruptly closed Mathies Mine in March 2002, leaving 126 unemployed. 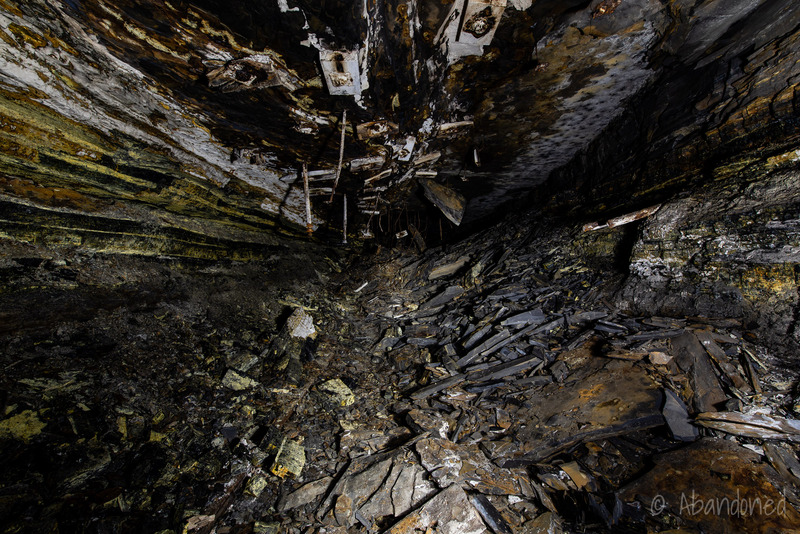 2 20 The company shut the power off in April, and the mine subsequently flooded, destroying all of the longwall mining equipment underground. 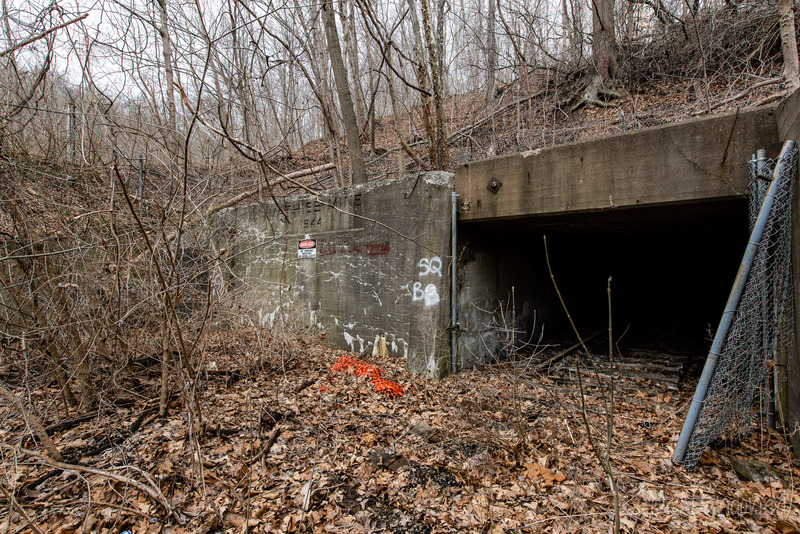 5 20 Gallatin Fuels, which leased the mining equipment to Mon-View, filed suit against the Westchester Fire Insurance Company after it refused to cover the value of the equipment lost when the mine flooded. 20 A federal jury awarded Gallatin Fuels $20 million in February 2006. Mon-View Mining filed for federal bankruptcy protection in November 2005. 4 CRG Energy purchased Mathies Mine in bankruptcy court for $25 million in May 2008 with the goal of reopening the 1,200-acre facility in 2009. 2 CRG made a $1 million payment at the sale closing but failed to make installment payments on its loan. On May 10, 2010, Massey Energy purchased the Mathies Mine for $5 million during bankruptcy proceedings. 4 15 The company had earlier submitted a bid to purchase the mine in March 2008. 15 As part of the deal, Massey would pay Mon View Mining a 20 cent-per-ton royalty on coal sold from the mine in perpetuity, lifting a $1 million cap on royalties, and would put 30 cents-per-ton into a state mine reclamation fund, up to $1.5 million. Ramaco, a coal mining in Kentucky, bought eight million tons of coal reserves that were part of the Mathies Mine in May 2013. 3 The company filed for an underground mining permit for Mathies Mine on October 10, 2014. “Mathies Mine.” American Industrial Mining Company. Article. Daparma, Ron. “Mathies Mine to reopen.” TribLive, 30 Dec. 2008. Cato, Jason. “Company seeks to reopen coal mine in Nottingham, Washington County.” TribLive, 27 Nov. 2014. Napsha, Joe. “Massey will buy closed Mathies Mine in Union Township.” TribLive, 11 May 2010. DellaMea, Christopher. “Misc. Pittsburgh Field.” Coalfields of the Appalachian Mountains. Article. Steigerwald, Bill. “The Fire Below.” New York Times, 7 Nov. 1990. “Coal mine damaged by fire will not reopen.” United Press International, 31 Oct. 1991. Wilhelm, Jim. “Washington County mine to be closed to halt fire.” Pittsburgh Press, 19 Oct. 1990. pp. B1-B4. Rouvalis, Cristina. “Mathies mine to remain shut.” Pittsburgh Post-Gazette, 1 Nov. 1991, p. 21. “Mathies Has World’s Largest Underground Machine Shop.” Daily Republican [Monongahela], 23 Jun. 1959, p. 12. “Mine Named for Pilot, One of Few Large Underground Pits.” Daily Notes [Canonsburg], 26 Nov. 1965, pp. 1-8. “Work Progresses on New Mathies Mine, Memorial To World War II Hero.” Daily Republican [Monongahela], 27 Jul. 1944, p. 8. “New Mathies Mine to Begin Operations After First of Year With 7,000 Ton Daily Output.” Daily Republican [Moongahela], 7 Aug. 1944, p. 1. “New Mathies Mine May Produce Next Month.” News-Herald [Franklin], 8 Aug. 1945, p. 3. Ward, Paula Reed and Lindsay Carroll. “Judge OKs sale of Pa. mine to Massey Energy.” Pittsburgh Post-Gazette, 11 May 2010, pp. A1-A5. Budinger, David. “Longwall mining worries residents.” Pittsburgh Post-Gazette, 27 Jun. 1993, pp. W1-W2. “150 Miners Laid Off.” Times Leader [Wilkes-Barre], 7 Jun. 2000, p. B1. Stuart, Roger. “Firm seeking $7.5 million loan for mine.” Pittsburgh Post-Gazette, 17 Oct. 1993, pp. W1-W2. “Finleyville mine to reopen.” Indiana Gazette, 20 Aug. 1992, p. 6. Gannon, Joyce. “Jury’s $20 million in punitive damages may be record.” Pittsburgh Post-Gazette, 24 Feb. 2006, pp. E1-E2.